There was a time when a thousand rock bands had four million young Aussies swaying and singing in pubs across the nation. We knew only good things and the gods smiled fully on this the sunburned country. 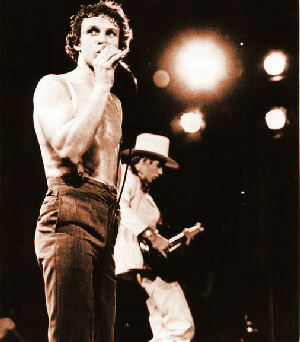 This was a time when mankind’s top twenty found redemption in inspirational Australian talent… AC/DC, Men at Work, Cold Chisel, 10cc, Australian Crawl, Inxs, John Farnham, Skyhooks, Icehouse, Gerry Rafferty, Hunters and Collectors, Billy Thorpe and the Aztecs. The world wobbled on its axis, and some believed the Second Coming had arrived, but happy youth had lost count. The creative momentum of Australian music was engulfing the known universe; when suddenly… someone turned the volume down; not just to Country Rock, or to Folk; or even to the profanity of Dead People’s Music; but to funeral ante-silence. Then The Horror emerged. Intimidated publicans across the nation were visited by an army of faceless figures draped in sinister red tape, brandishing unstamped liquor licences, and who delivered the chilling edict that henceforth rock music shall be Noise Pollution, and forever banned. No drums. No amplifiers. Without live gigs, nature’s roaring powerhouse of Australian talent shrieked down the scale to a barely audible whine, with a lucky handful of bands struggling to hold the holy OzRok banner to a visible height. Today, music is in crisis, with bands restricted to CBDs. A malignant and terrible darkness has visited our once happy land. Overflowing clubs have become the profitable killing fields for alien drug lords; and are now the meeting houses for devotees of late night street violence. Private transport becomes essential survival gear but, every year, hundreds of young people complete a wonderful night out amongst the more harsh glitter and colour of broken glass and twisted metal. Meanwhile, the yob brigades, alien to nightclub ambiance, and deprived of pub rock outlets for their wild energy, gatecrash youth home parties. When police arrive, there is the now-traditional rock and bottle throwing ceremony. When police fail to arrive, violence escalates to beatings and stabbings. How did this happen? Why did Paradise end? The End began with hard-eyed men in lumpy dark suits. We have no idea what transpired in certain conversations, but evidently unrefusable offers were made and politicians flew into power on election campaign budgets that would have strained the seams of Montgomery’s money bin. We are sure these are but silly rumours but, it is whispered by fearful warehouse shift-workers that, one darkest midnight, certain politicians were seen dancing in the midst of a circle of gliding poker machines which were chanting metallically in unison exterminate, exterminate, while 666 whirred orgasmically on their barely focussed screens. What could this mean? We asked the publicans and they finally agreed to talk to us secretly, in the sacristy of a disused Brisbane cathedral. It transpired that with the casting out of OzRok, the income derived from joyous free-spending rock fans was gone, and bankruptcy loomed like a black end-of-times tempest. As if acting on a signal, armies of Pokie Enforcers came visiting that very night, and installed their gambling machines, until there was only room for the rattling and singing, ringing and grinning monoliths; and their weeping and degraded victims. But the Australian ANZAC spirit could not be crushed forever and rebel musos and their freedom-loving fans huddled and whispered in groups wherever the Pokie Enforcers dared not patrol. Eventually, the brave OzRok Resistance was born and an intelligence network spread throughout the now-degraded land. Finally, the Pokie Enforcer’s darkest secret was exposed and revealed; that revenues had fallen calamitously; their pokie-addicts reduced to poverty, and upper-age Aussie income’s bled white by the corporate and banker barons. Word has spread and the prophets are calling. The time has come for youth and its allies to gloriously rise up and, exerting the infinite power of profligate spending, as only youth is so congenitally entitled, repopulate the pubs; cast out the pokie idols, and replace OzRok to its rightful place of worship… the Suburban Aussie Pub (or beach or park). Aussie politicians, harken wisely to our call. Purge your secret sanctums of conscientious liquor licence inspectors and replace these with hearing-impaired age pensioners; for this is their time-honoured vocation. And prove yourselves worthy as Guardians of the Great Aussie Destiny; that of realising the higher purpose of Human Evolution; which is, of course, to create the Perfect Riff. So, dear reader, every time you pass a politician’s office, drop in and explain that Youth Music; always the people’s most popular music, can never be noise pollution. And Queenslanders, the Chosen People, know that this great epiphany had its genesis on our own Sunshine Coast. Come ye all as pilgrims and open up this sacred Gympie tablet to Gig Guide. If, due to forces of darkness, it is revealed you can’t dance to driving music in the local xxxx temple, then the path to musical redemption leads to your nearest publican. I say unto you, as a vast multitude, get down on your knees and pray to him to cast out the pokie idols and bring back the bands. Amen. Cost $10 Please book online here. While you are there, take in the exhibition of Marine life photographer Freddie Leong’s spectacular work. 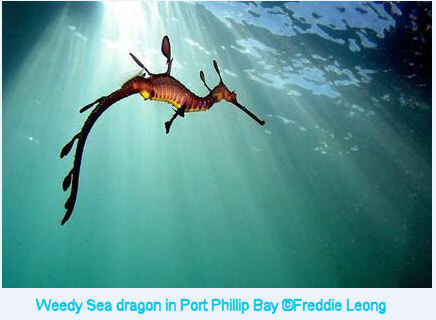 Freddie is well known for his artistic and dramatic underwater images from Port Phillip Bay and many other locations. Some of his work is held by the National Library of Australia. It is well worth the visit to see Freddie’s amazing images. See more of his images here.